If you own or work in a restaurant, this unique laminated 11" X 17" place mat makes the perfect back side of your menu. It'll make the wait by your customers seem quicker as they will be pre-occupied perusing the detailed colorful rendering. 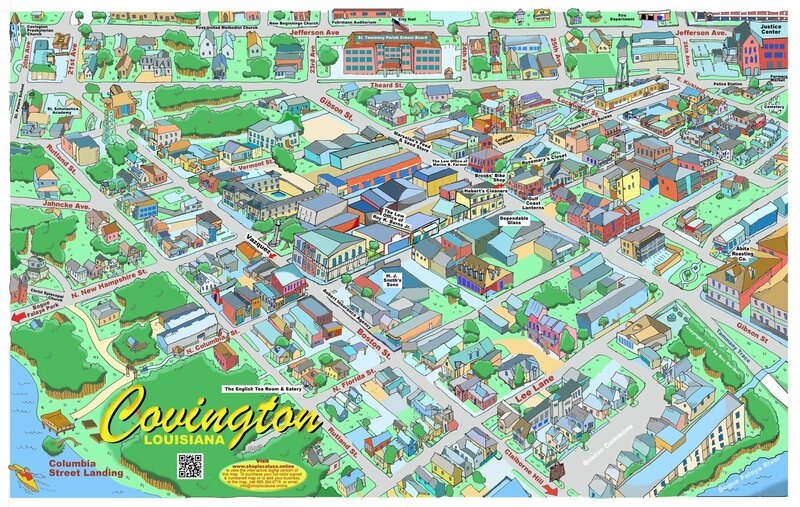 Downtown Covington, Olde Towne Slidell, Pearl River, Madisonville and Abita Springs are now available for place mats. Send us your print ready menu and we'll do the rest. Order the minimum of 12 mats for $144.00. Call 985.788.9772 for more details and for higher quantity discounts.